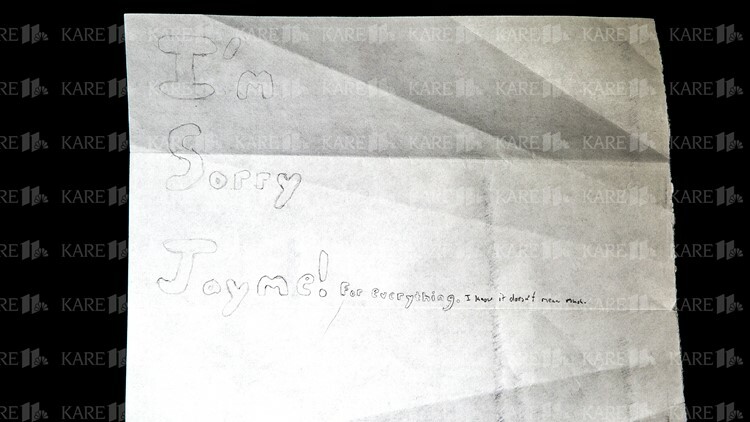 Jake Patterson says he will plead guilty in a letter written to KARE 11 reporter Lou Raguse. 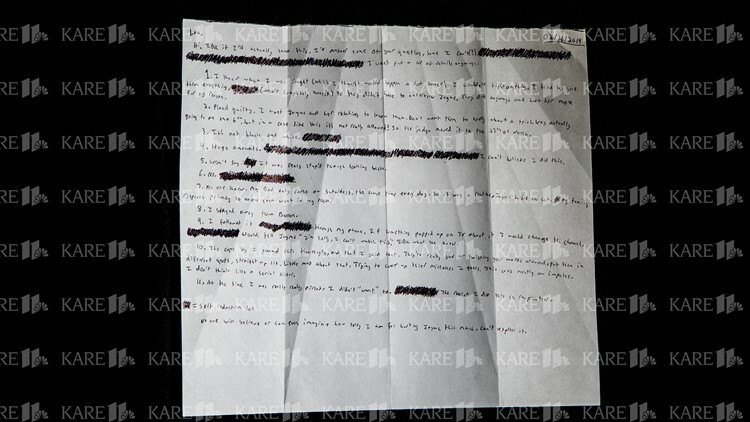 MINNEAPOLIS — The letter arrived in a simple white envelope and featured small handwritten addresses. Two red stamps appeared on the front and back of the envelope to indicate this letter was sent from the Polk County jail. 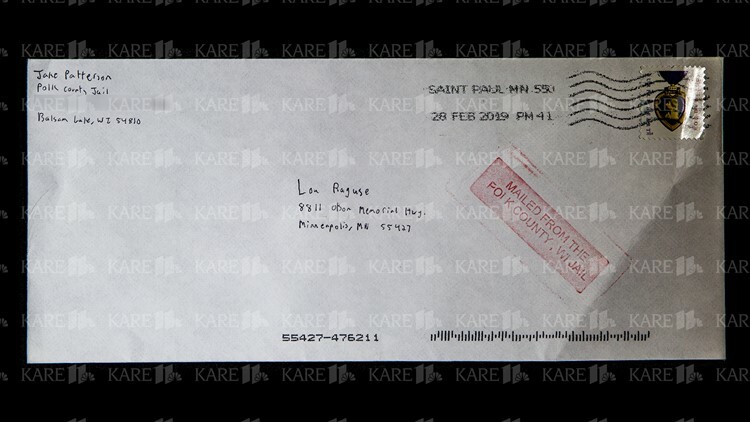 The recipient is KARE 11 reporter, Lou Raguse. The name of the sender is Jake Patterson. The letter itself is a torn portion of a sheet of paper. The writing is small and disjointed. Abbreviations like IDK are used in a conversational, text-like tone. The letter appears to be folded like a paper airplane and begins with, "Hi, IDK if I'll actually send this." Raguse sent a letter to Patterson on Jan. 17 with questions about the case which were not included in the court file, questions many in our community wanted to know the answers to, including whether Patterson plans to plead guilty. Patterson did not respond to that letter. The letter received from the jail included answers to each question, with the numbers corresponding with Raguse’s questions. Barron County Sheriff Chris Fitzgerald said letters are only given to the inmates they are addressed to after they have been opened and read by jail staff. Outgoing correspondence is reviewed before it is mailed. Fitzgerald said he was aware Patterson had sent a letter to Raguse. It was postmarked Feb. 28. Patterson’s attorney Charles Glynn said he could not confirm or deny the letter. He said he heard about it but has not talked with Patterson directly. Out of respect to the Closs family we notified Jennifer Smith, Jayme’s aunt and guardian. She let us know police already let her know about the letter. The family doesn’t want to talk on camera about it. This transcript includes Raguse’s questions in bold and Patterson’s responses to each question. Jake Patterson is accused of killing James and Denise Closs on Oct. 15 and kidnapping Jayme from their Barron home. Jayme escaped on Jan. 10. Patterson’s arraignment is set for March 27 in Barron County.